Nikolai Patrushev sheds light on the details of Russian President Vladimir Putin's message to his American counterparts Barack Obama. Russian President Vladimir Putin's message to his U.S. counterpart Barack Obama urges development of relations through honest dialogue, including on the missile defense issue, Russian Security Council Secretary Nikolai Patrushev told Interfax in an interview. "The Russian president stresses that today specific moves that improve the atmosphere of dialogue and prevent the emergence of new 'irritants' that have a negative influence on our relations are in demand as never before," Patrushev said. He visited the United States this week and passed a message from Putin to Obama. "This document reflects how the Russian leadership views the building of further dialogue and joint work on common challenges and threats. The main idea is the need to strengthen and comprehensively develop U.S.-Russia relations and to expand honest dialogue in all spheres based on mutual trust between our countries," he said. Particular attention in the message is paid to the missile defense issue and arms control, Patrushev added. "We value the readiness to ensure transparency of missile defense programs. 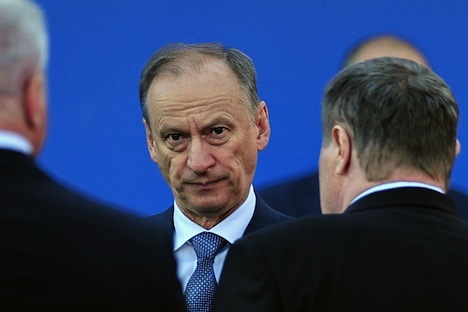 At the same time we think that political statements that there is no intention to undermine the strategic deterrence potential of the other side are obviously not enough," Patrushev said. "Cosmetic adjustments of American plans like the refusal to create a new interceptor cannot lift our concerns over the destabilizing influence of the missile defense on strategic stability," he added. "We have yet to reach mutually acceptable decisions on these issues. The Russian president ordered to develop our proposals on a large number of points at issue that would be given to the American side. The continuing intensive dialogue on this subject will contribute to achieving specific agreements," Patrushev said. At the same time, Patrushev clarifies that Russia will not prolong the Nunn-Lugar program but is ready to implement some U.S. projects in the weapons of mass destruction (WMD) non-proliferation sphere. U.S. National Security Advisor Tom Donilon brought a message from Obama to Putin in April. The message, according to Russian presidential aide Yury Ushakov, dealt with a number of proposals on the expansion of bilateral dialog and cooperation. Patrushev passed Putin's reply to Obama on May 23.